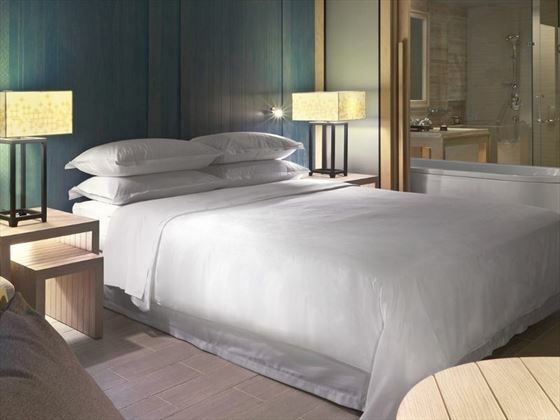 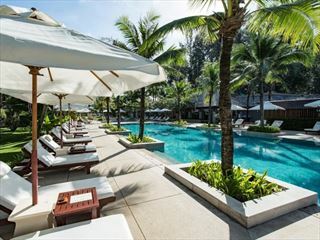 Just a few steps from the stunning white sand of Klong Muong Beach, Dusit Thani Krabi Beach Resort is a luxurious resort showing off the beauty of Krabi. 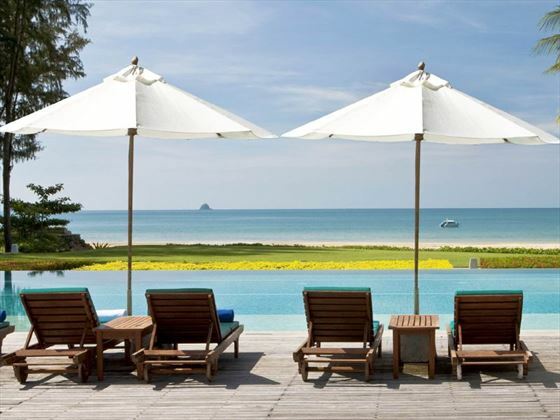 Enjoy the stunning scenery of the region including impressive cliff formations, verdant forests and beautiful Andaman Sea views. 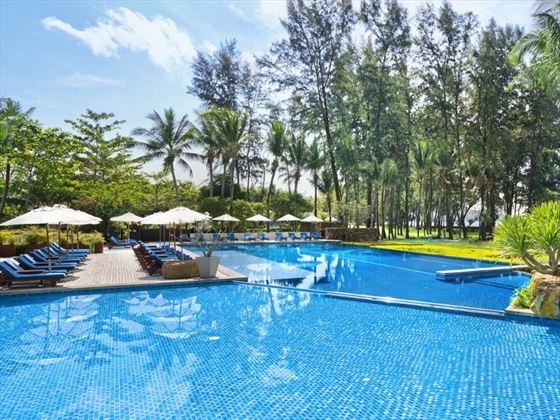 Ideal for families and couples looking for a relaxed stay in a lovely location, there are two beachfront pools, a range of delicious restaurants and the rejuvenating Mandara Spa. 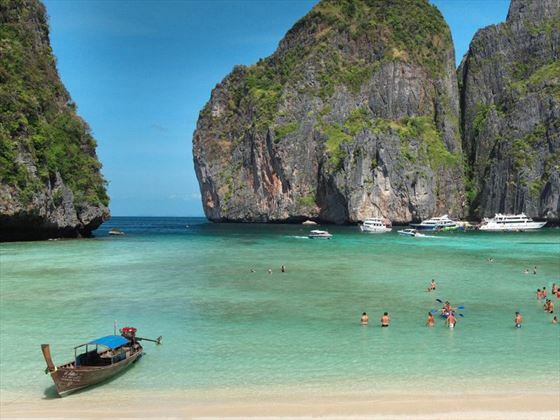 Head to the beautiful beach for sunbathing or indulge in the excellent range of watersports on offer. 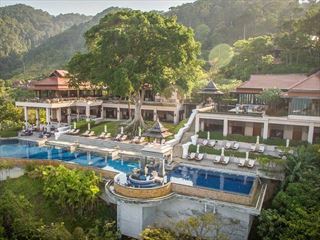 The resort sits on Klong Muong Beach on the Andaman coast in Thailand’s Krabi Province. 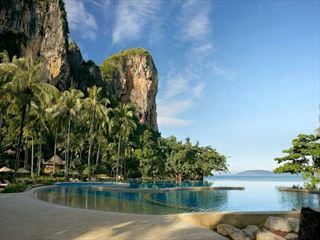 A little way away from Ao Nang, this is a truly beautiful location. 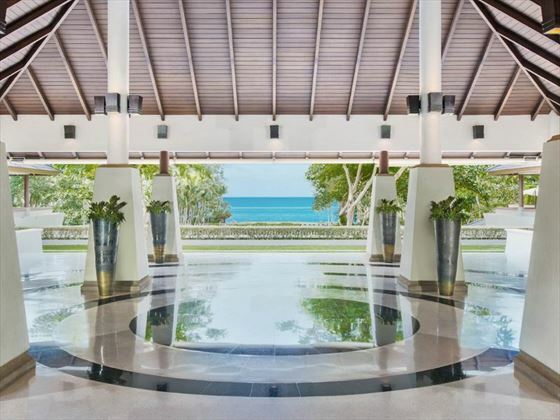 There is a golf course nearby and you’ll enjoy direct access to the beach.